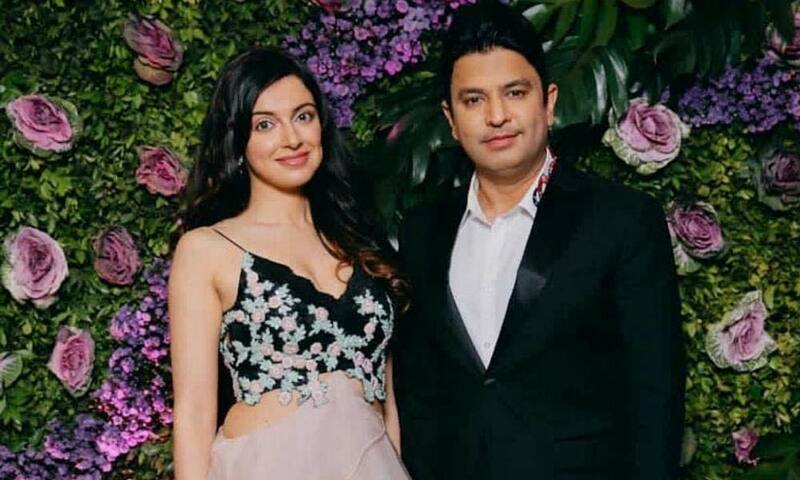 Head Honcho Of T-series Bhushan Kumar along with his wife made a stunning appearance at the wedding reception of filmmaker Dinesh Vijan recently. The head of Maddock Films Dinesh Vijan got married to Pramita Tanwar in a private ceremony in Mumbai. The couple hosted a star-studded reception which was attended by who’s who of Bollywood industry. The couple kept is very stylish, Divya wore a Sonaakshi Raaj’s creation while Bhushan Kumar was dressed like a true gentleman in a tuxedo. Currently, Bhushan is been juggling between producing many films and music videos like Salman Khan starrer Bharat, Emraan Hashmi starrer Cheat India, Saaho, Batla House, Zero as a music producer, He is also producing the music video of Honey Singh’s comeback song.